Tesla stock has rallied following earnings, but its 10-Q didn't paint as good of a picture as management did last week. Tesla Inc. (TSLA - Get Report) reported earnings last week and while shares initially fell, the stock has now reversed and is moving higher. Perhaps that's because short-sellers have nearly maxed out their allotment, meaning it's getting very hard to short any more of the stock. Even "Sarge" had trouble finding stock to borrow so he could short Tesla. That could setup one epic short-squeeze, as has been noted several times on TheStreet. CEO Elon Musk buying almost $10 million worth of stock could be one catalyst behind that squeeze. One unlikely catalyst will be Tesla's 10-Q filing, which was released five days after the company's quarterly earnings results were made public. The artist painting this picture didn't have quite the rosy lenses that were used on the company's letter to shareholders. When we got our hands on the initial release, one of the first things we checked for was Tesla's financial picture. 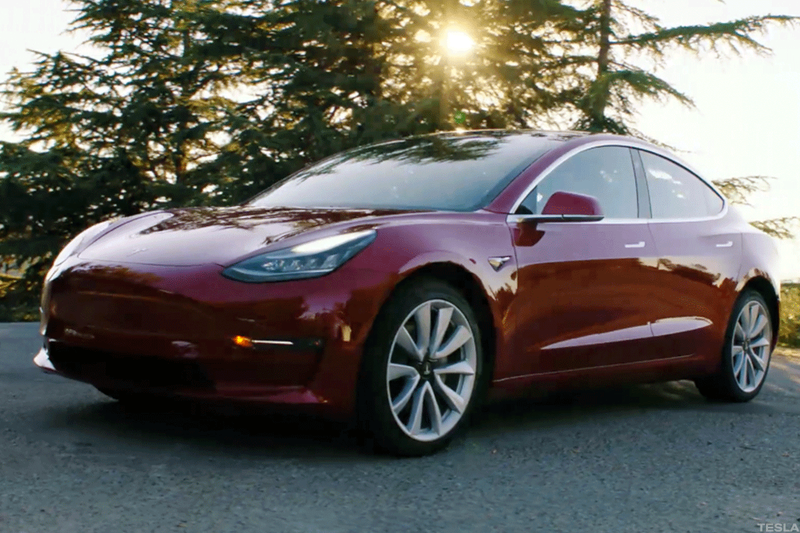 Its financials and Model 3 production are the two most pivotal factors for its success right now. In short, the results showed that from the fourth quarter of 2017 to the first fiscal quarter of 2018, cash fell from $3.4 billion to just $2.7 billion. Debt grew from $10.3 billion to $10.8 billion. However, the 10-Q reveals that about one-third of that cash is held overseas, or roughly $900 million. In that respect, assuming Tesla doesn't bring that capital back to the U.S., it's got less than $2 billion in the bank and is burning through its capital quickly trying to maximize production of the Model 3. On the conference call, Musk said he "specifically" does not want to raise capital and still contends that the automaker will be cash flow positive and have positive -- GAAP! -- net income in the third and fourth quarter. Margins also weren't what they appeared on the surface. In the quarterly shareholder letter, Tesla told us automotive gross margins came in at 18.8%, excluding ZEV credit sales. On the conference call, management told investors they are confident automotive gross margins would climb to 25% in 2019. It's true that margins did improve in the first quarter compared to the fourth quarter. But not necessarily in the manner that Tesla claims. According to the 10-Q, automotive gross margins came in around 14.3%. While this is a big improvement quarter-on-quarter, it's down big year-over-year, where after adjustments are made they hovered near 25%. Note that this was before production of the Model 3 began. Once production began, gross margins fell to about 14%. Don't forget, though, this is not a surprise. When a young company begins production of a new vehicle, there will be higher expenses and lower output. So this axing in margins is no surprise, but Tesla will need to continue improving them to lower its financial worries. So what do we make of the situation? It's not the death-blow that the shorts are looking for, but it does take away from the bullish case. On the plus side for bulls, the 10-Q does reveal that the gross margin situation is improving. But the cash situation wasn't great to begin with and the company's SEC filing didn't help matters. Tesla also adjusted a credit amendment, making it possible to pledge its Fremont production plant where it makes its cars. That doesn't mean it will, but having the ability to do so raises more questions about whether Tesla should (or will have to) raise capital in the future.